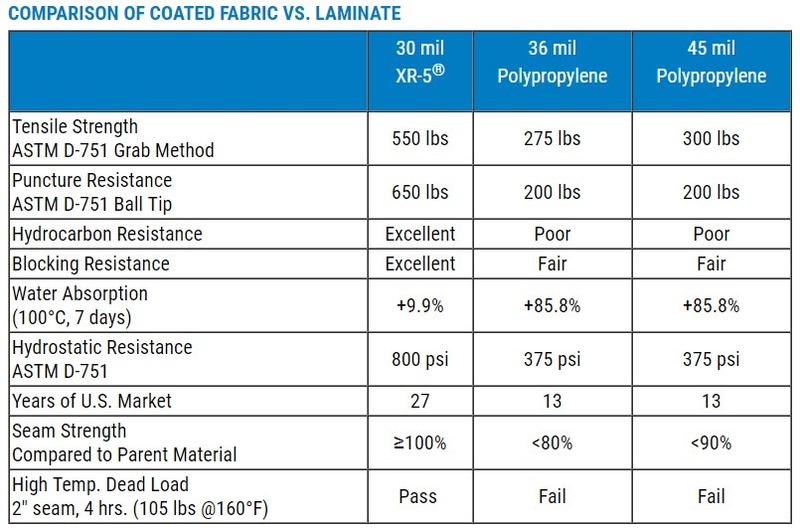 See how XR-5 Geomembranes compare to other options when exposed to a wide range of tough contaminants. 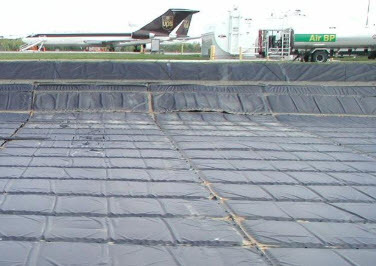 All XR® Geomembrane products are classified as an Ethylene Interpolymer Alloy (EIA). They are very stable, with low thermal expansion-contraction properties, and come in factory panels over 15,000 square feet (1400 square meters) for less field seaming. Also compare the attributes of XR-5 to 36 mil and 45 mil polypropylene. There is quite a significant difference. XR-5 soundly defeats the competition in the tough chemicals arena, especially when it is Polypropylene! The chart below shows you that Kerosene, diesel fuel, acids, Naphtha, Jet Fuels, Saltwater at 160 degrees F, Crude Oil and Gasoline are no match for XR-5. Polypropylene has it's role but not always in this case. Keep our environment clean and protect it with XR-5. Have a geoemebrane or XR-5 question?